MED-EL produces a range of story books that can be shared with your child and family members. They are designed to provide information about hearing loss and implantable devices in a child-friendly and informative way. There are various books targeting a range of age groups, with the help of some special MED-EL characters. Below you can find a link to an introduction of each story, and we encourage you to download and share these with your child. Talk about the pictures in the book and describe the character’s actions. 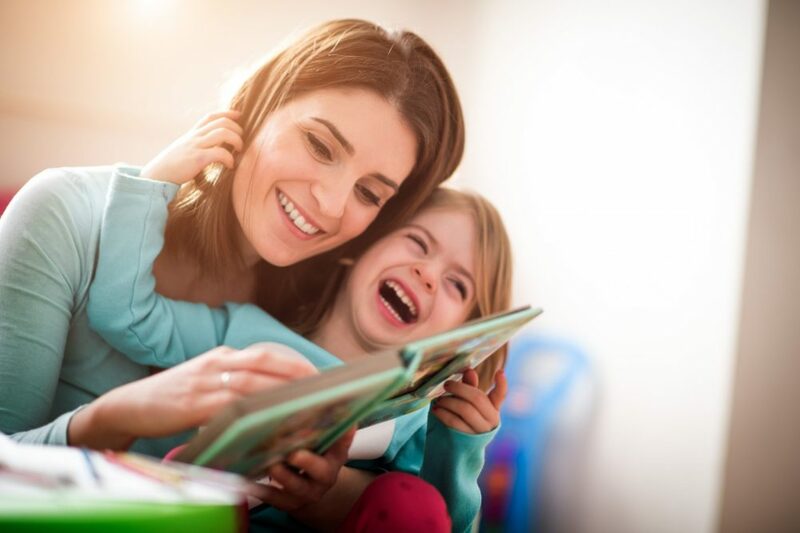 This extends your child’s reading experience by teaching new vocabulary and encouraging interactions. Encourage your child to make predictions about the story. For example, ask them what they think might happen next, or who the characters might ask for assistance from. Allow your child to take the books with them to school! The Mellie and M-Team books can be shared at school with peers and classmates, to introduce them to hearing loss listening devices. The M-Team are four characters designed to look like parts of the ear and parts of a cochlear implant. There are two books featuring these bright and colorful characters, which are suitable for children aged 7-10. As well as teaching your child about their device, they can be used to introduce classmates and friends to hearing loss and implantable devices. The first in the series is titled In Search of Hearing. The characters shrink down in size and take a journey through the ear—learning how we hear along the way. Medina, one of the four characters, has hearing loss and learns how her cochlear implant allows her to access sounds. The second book in the M-Team series is titled The Journey to Le Dem. This book follows Medina and her friends as they prepare for a wonderful adventure. It focuses on the equipment Medina will need to support listening through her cochlear implant, such as spare batteries. You can order or purchase all of the MED-EL Story Books from your local MED-EL Representative. Has your child already read the MED-EL Story Books? Which one is their favorite?